Prague and Bosnia – Success! Thanks from the Theraphi team – to Roger Green and Paul Harris – the major new Theraphi Center – Installations in Prague and Bosnia are a success – June 2016. 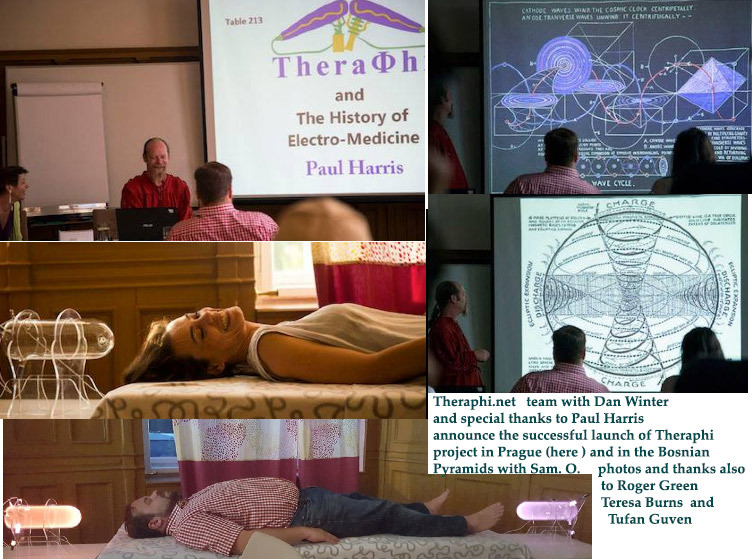 Sam Osmanagich – leader of the Bosnian Pyramid center- has hundreds of thousands of people visit annually – he is clear a large number come for the experience of biologic rejuvenation and recharge. He also documented the harmonics of the low frequency infra sound which accompany the pyramids there (also known for the Hypogeum at Malta- bioactive field effect). So- he was pleased to add the intense Theraphi plasma rejuvenation – parallel tech- to offer to visitors there! We are excited for more news from these and our other upcoming Theraphi centers – including S.Africa, Norway, N.California and many more..